Our Telluride location is where the Digitiqe story began as it grew out of a one man consulting firm back in 2005. 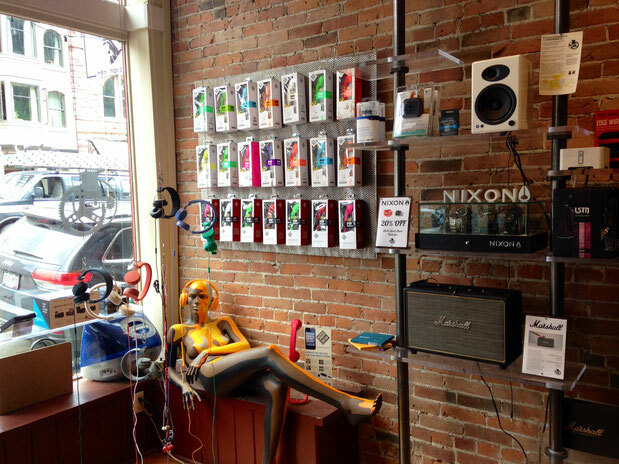 From our quirky boutique on main street to our high end, cutting edge installations around town, Digitiqe Telluride is an institution now, beloved by locals and tourists alike. Brian has been living and working in Telluride for many years and is an active member of the community. His passion and knowledge of the digital landscape inspired him to open the HUB, now Digitiqe where he continues to fulfill the technology needs of clients all across the Western Slope. Mark is our resident technological jack of all trades. He's an Apple Certified Mac Technician, an IT and networking expert and an audiovisual installer. When he's not doing a little bit of everything at Digitiqe he's usually, well... jumping out of airplanes! Steve is the general manager and buyer at the store on Colorado Avenue in Telluride. You'll find him piloting the ship most days and if not he's likely out enjoying the terrain around the box canyon with his wife and dogs. Jesse is the town's Macintosh and IOS technician. With his 14 years experience as a certified repair technician, he can repair PC's and Apple products quickly and sucessfully. Chemistry Teacher, Mission Accomplisher, Avid Mountain Hiker, Crusher. © 2016. Digitiqe. All rights reserved.